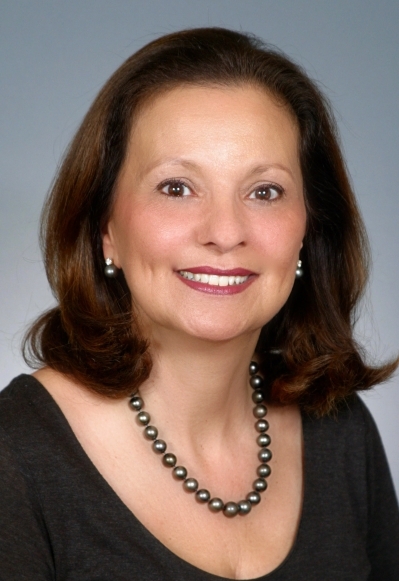 Francesca Gutowski is a residential specialist and seasoned negotiator. She has over 30 years experience in the sale and marketing of real estate. Representing buyers, sellers, and investors, she is skilled in all aspects of sales and marketing. She has experience working with seniors and first time buyers. She holds a Master of Planning Degree from the University of Virginia, School of Architecture, and an undergraduate degree from the University of Tennessee in Economics. She was Top Transfer Agent when joining Long and Foster in 2006. Francesca is knowledgeable about restoration, preservation and new home sales. She has sold new condominiums for developers in Maryland and Virginia. An experienced world traveller, Francesca has lived in England and Poland and can help you with your relocation. She is a member of NVAR and MRIS, the Mclean Citizens Association and the Mclean Planning Committee. She is licensed in Virginia and Maryland. BEAUTIFULLY UPDATED, 3-LEVEL CENTER HALL COLONIAL IN MCLEAN H.S. PYRAMID...OPEN & SPACIOUS FLOOR PLAN IS PERFECT FOR ENTERTAINMENT AND GATHERINGS...UPGRADED THROUGH-OUT WITH GLEAMING HARDWOOD FLOORS, GOURMET KITCHEN FEATURING GRANITE, CHERRYWOOD CABINETS, STAINLESS STEEL APPLIANCES; BUTLER ROOM FEATURES GRANITE AND BUILT-IN CHINA CABINET, HARDWOOD FLOORS & LARGE CUSTOM PANTRY; BREAKFAST ROOM WITH BAY WINDOW OVERLOOKING DECK & TREES. FAMILY ROOM WITH STONE GAS LOG FIREPLACE AND BUILT-INS ON BOTH SIDES & SLIDING GLASS DOOR TO 2-TIERED DECK; FORMAL DINING ROOM W/ PLANTATION SHUTTERS. SPACIOUS & LIGHT-FILLED LIVING ROOM. FINISHED LOWER LEVEL HAS A PRIVATE SIDE ENTRANCE, RECREATION ROOM, GAS FIREPLACE, 5TH BEDROOM AND UPDATED BATHROOM. ALL BATHROOMS HAVE BEEN UPDATED. 1-CAR GARAGE AND 2ND PARKING SPACE NEXT TO GARAGE WITH SIDE ENTRANCE TO LAUNDRY/MUD ROOM... SELLERS ARE REALTORS.